Railpictures.ca - Bill Thomson Photo: Amtrak F40PH 346 leads the daily VIA-Amtrak Maple Leaf’s consist of five Amfleet cars and a baggage, heading southbound across the bridge at Jordan Station on the CN Grimsby Sub. | Railpictures.ca – Canadian Railway Photography – photographie ferroviaire Canadienne. 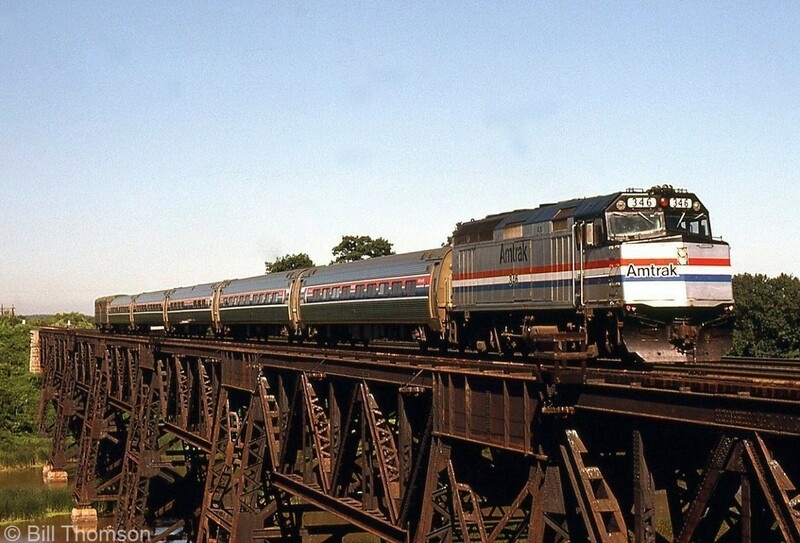 Caption: Amtrak F40PH 346 leads the daily VIA-Amtrak Maple Leaf's consist of five Amfleet cars and a baggage, heading southbound across the bridge at Jordan Station on the CN Grimsby Sub.